It wasn't quite like a raft trip -- maybe more like a steamboat or a motorized "prairie schooner." Except that we weren't so purposeful. We rambled. We moseyed. Nothing in particular was on our minds. Mostly I drove. And mostly Jim marked the route on the state maps we brought along. 13 states, plus a bit of Ontario. Ostensibly we went west to visit Glacier National Park in northwest Montana. But we didn't actually see any glaciers and couldn't get too far into the park because the high pass was still snowbound. The lodge at Whitefish was a posh setting for destination weddings and faux-outdoorsy honeymoons and we didn't much care for all the fuss and having to hand our carkeys over to valets who needed to be tipped. We wound up preferring the other national parks: Badlands NP in South Dakota and Theodore Roosevelt NP in North Dakota. The landscapes were astonishing and (in Roosevelt NP) we loved the bisons and the prairie dogs. Missoula, Great Falls, and the artsy main streets of Whitefish and Bigfork were our favorite Montana browsing places. 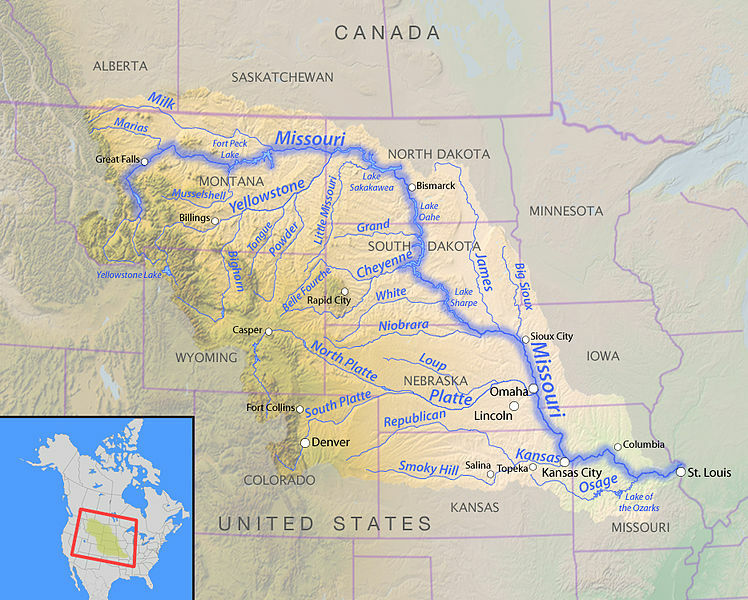 For most of our mosey, our frequent companion was the meandering Missouri River and its many tributaries. 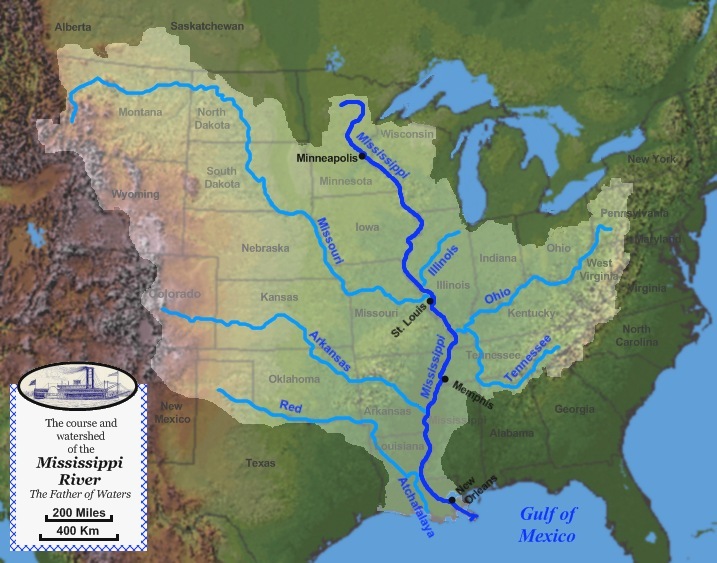 We didn't come up with any ways to be in or on the rivers, but somehow their names connected us with history, especially the Lewis and Clark expedition. It also connected me with St Louis, where my family was undergoing the traumatic and unexpected loss of our Uncle Pat, the youngest of the Price brothers. The waters connect us. The highlight in Minnesota was the source of the Mississippi River at Lake Itaska. People love going to the ocean, but our trip reminds me that the heartland is about its arteries, its rivers. Huck Finn, rafting, rivers, Lewis & Clark, exploration and discovery, St Louis at the heart. It all resonates for me in some kind of poetry I can't express. We did our final leg through the Great Lakes, equally fascinating for being another intersection of natural abundance and human ambition. But by this time we were rushing through the last miles toward home.